Nothing is as fun and memorable as including a photo booth in your personal or corporate event. While many people assume that there is only one type of photo booth, modern entertainment companies have introduced new types of photo mechanisms that your guests will love. In Dallas, TX, The Photo Bus DFW has redefined the meaning of the classic photo booth and invites partygoers to jump into animated, unique, and quirky options instead. Silly, moving photo scenes capture a glimpse of the best memories being made. Now, you can be a character in your own GIF while you’re dressed up for a night on the town. The GIF Booth from The Photo Bus DFW is designed as a standalone kiosk that houses a high-quality camera and various backgrounds to make each moving image unique. Your guests can choose to email the GIF to themselves or post it to social media immediately to show off their good times. Looking for a little more room in your photo booth? 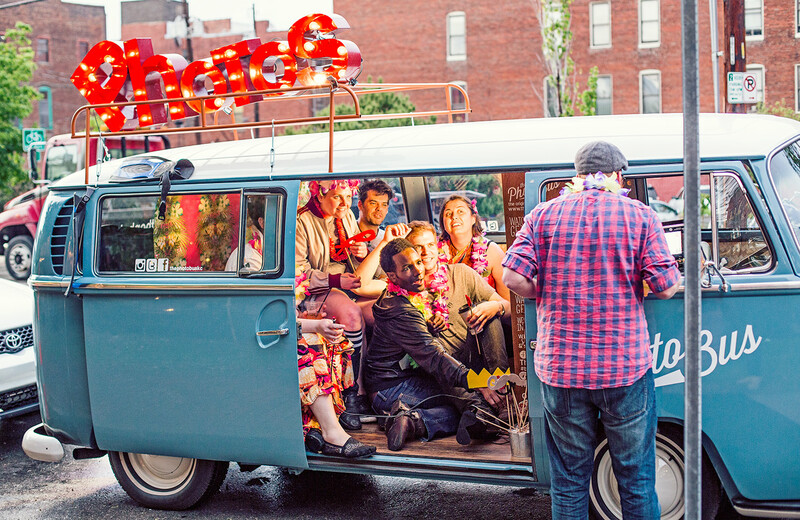 Squeeze the whole family into the Photo Bus—a classic Volkswagon® bus transformed into a wildly creative photo booth. The 1971 and 1979 VW Transporters have been completely hollowed out and redesigned for amazing photo ops with friends, family, coworkers, or wedding guests. The background inside the bus can be altered according to your wishes so that every snapshot is bright and thematic. The Open Booth is a take on the classic kiosk, but without the restrictions of walls. The device is created so that guests can squeeze large groups or props in the photo without cutting off those on the end. The camera prints on the spot and even has social media preferences embedded so you can post your shots online. With a cool, retro-style exterior, the Open Booth is easily incorporated into any party theme and is guaranteed to please. If you’re considering a photo booth for your next event, call The Photo Bus DFW. Bringing the fun to parties in a 30-mile radius around Irving and Dallas, this team of photography enthusiasts is focused on bringing the experience to life for your guests in a way no photo booth has before. With multiple vintage VW buses and top-of-the-line camera equipment, your guests will treasure their clear, colorful take-home images forever. For more information, visit them online or call at (214) 702-4141.